2000-01-09. New. Ships with Tracking Number! INTERNATIONAL WORLDWIDE Shipping available. Buy with confidence, excellent customer service! Scholastic Inc.. PAPERBACK. 0590313231 New Condition. . New. Scholastic Reference. Hardcover. 0590313215 New Condition. . New. 2000-01-09. Good. Ships with Tracking Number! INTERNATIONAL WORLDWIDE Shipping available. May not contain Access Codes or Supplements. May be ex-library. Shipping & Handling by region. Buy with confidence, excellent customer service! Scholastic Inc.. PAPERBACK. 0590313231 Like New Condition. . Fine. Scholastic Reference. Hardcover. 0590313215 Like New Condition. . Fine. Scholastic, Inc, 2001-01-01. Paperback. Used:Good. Scholastic, August 2000. Hardcover. Used - Good. All of our books are in clean, readable condition (unless noted otherwise). We do not accept books with water damage, strong smoke smell, or just plain beat up. Our books generally have a store sticker on the inside cover with our in store pricing. If the edges are starting to get wore, but the book is otherwise in good condition, we may tape reinforced the edges. Dreamtech Press/Wiley India Pvt. Ltd, 2008. Softcover. New. The book covers latest IT trends - Microsoft Vista and Microsoft Office 2007. The content of the book is designed considering the needs of people running business from home or office. The book covers all new features and programs of Windows Vista like Windows Aero, Windows Meeting Space, Internet 7.0, Windows Mail, etc. For Internet savvy users, a separate section is provided on Search Engine. The book does not end here. After mastering Windows Vista, the book introduces you to Microsoft Office 2007 and helps you in preparing professional letters, personal accounting sheets, and presentations for the masses. It Covers Microsoft Office applications such as Microsoft Word 2007, Microsoft Excel 2007, Microsoft Access 2007 and Microsoft Powerpoint 2007. The unique Tutor CD provided with this book is a true add-on. While other books rely on the theory and long explanations, the tutor CD accompanying this book helps you build skills on the software you learnt while reading this book. Printed Pages: 592. 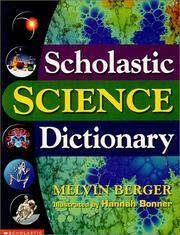 USA: Scholastic Reference, 2000 Printed Pages: 224.. First Edition. Hardcover. New. Illus. by Hannah Bonner. 20.5 x 26 Cm. Scholastic, Inc. Used - Very Good. Great condition for a used book! Minimal wear. Scholastic, Inc. Used - Good. Shows some signs of wear, and may have some markings on the inside. Scholastic Reference. Used - Very Good. Very Good condition. Scholastic Reference. Used - Good. Good condition. Scholastic Reference. Hardcover. 0590313215 Crisp pages and tight binding. Light shelf wear on cover. Previous owners mark in front of book. Previous owner's name written inside . Fine. Scholastic Reference. Hardcover. 0590313215 No CD Included. Access code may be previously used. Light dirt, wear, fading or curling of cover or spine. Good Binding. Minimal, if any highlighting or writing. Cover has used book stickers or residue. . Very Good. Scholastic, Incorporated, 2000. Hardcover. Good. Disclaimer:A copy that has been read, but remains in clean condition. All pages are intact, and the cover is intact. The spine may show signs of wear. Pages can include limited notes and highlighting, and the copy can include previous owner inscriptions. At ThriftBooks, our motto is: Read More, Spend Less.Dust jacket quality is not guaranteed. Scholastic Reference. Hardcover. 0590313215 Ships promptly from Texas. . Fine. 2000. Scholastic Inc.. PAPERBACK. 0590313231 Ships promptly from Texas. . Very Good. 2001. Scholastic, Inc.. PAPERBACK. 0590313231 Ships from Tennessee, usually the same or next day. . Good. 2001. Scholastic Inc.. PAPERBACK. 0590313231 Ships promptly from Texas. . Fair. 2001. Scholastic, Incorporated, 2000. Hardcover. Very Good. Disclaimer:A copy that has been read, but remains in excellent condition. Pages are intact and are not marred by notes or highlighting, but may contain a neat previous owner name. The spine remains undamaged. At ThriftBooks, our motto is: Read More, Spend Less.Dust jacket quality is not guaranteed. Scholastic, Incorporated, 2000. Hardcover. Very Good. Disclaimer:A copy that has been read, but remains in excellent condition. Pages are intact and are not marred by notes or highlighting, but may contain a neat previous owner name. The spine remains undamaged. The dust jacket is missing. At ThriftBooks, our motto is: Read More, Spend Less. Scholastic, Incorporated, 2000. Hardcover. Very Good. Disclaimer:A copy that has been read, but remains in excellent condition. Pages are intact and are not marred by notes or highlighting, but may contain a neat previous owner name. The spine remains undamaged. An ex-library book and may have standard library stamps and/or stickers. At ThriftBooks, our motto is: Read More, Spend Less.Dust jacket quality is not guaranteed. Scholastic Inc.. PAPERBACK. 0590313231 Has some shelf wear, highlighting, underlining and/or writing. Great used condition. Over 1,000,000 satisfied customers since 1997! We ship daily M-F. Choose expedited shipping (if available) for much faster delivery. Delivery confirmation on all US orders. . Very Good. 2001-01-01. Scholastic Inc., 2001. Paperback. Very Good. Disclaimer:A copy that has been read, but remains in excellent condition. Pages are intact and are not marred by notes or highlighting, but may contain a neat previous owner name. The spine remains undamaged. At ThriftBooks, our motto is: Read More, Spend Less.Dust jacket quality is not guaranteed. Scholastic, Inc., January 2001. Trade Paperback . Used - Good. Moderate wear. May have minor sticker residue or marks or writing. Our service is second to no other seller because we use easy to remove inventory tags and try to ship every day so your book arrives quicker! As a small independent book store in the Midwest we thank you for the support. Satisfaction guaranteed in all transactions. Let us know what we can do to help! Scholastic Inc.. PAPERBACK. 0590313231 Very Good Condition. Five star seller - Buy with confidence! . Very Good. Scholastic Reference. Hardcover. GOOD. Spine creases, wear to binding and pages from reading. May contain limited notes, underlining or highlighting that does affect the text. Possible ex library copy, thatâll have the markings and stickers associated from the library. Accessories such as CD, codes, toys, may not be included. Scholastic, Inc.. Paperback. GOOD. Spine creases, wear to binding and pages from reading. May contain limited notes, underlining or highlighting that does affect the text. Possible ex library copy, thatâll have the markings and stickers associated from the library. Accessories such as CD, codes, toys, may not be included.